The May 26+27 Randolph Street Market has a great variety of locally made sweet treats and savory goodies to enjoy onsite or take home! 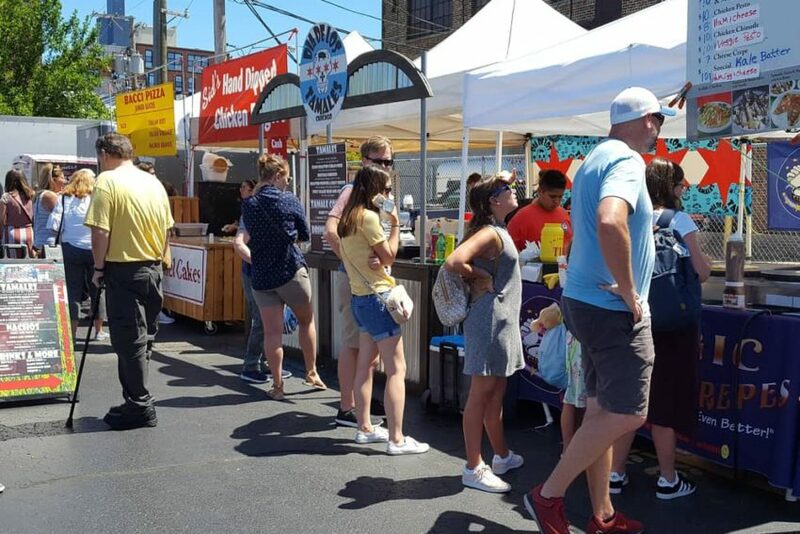 Enjoy the food court outside in the East lot by the Shade Shack and our fancy food hallway outside the ballroom on the second floor of Plumbers Hall. Our bars are easily accessible too. Find them on the main gate aisle, at the Shade Shack and indoor on the first level.